Implenia pursues ambitious environmental goals. At its construction sites, offices and production facilities, the company aims to increase energy efficiency and in doing so reduce greenhouse gas emissions. Implenia systematically monitors its own environmental performance. CO2 emissions reduced in Switzerland by 13.9% in absolute terms since 2013, but we are still to achieve our target on a revenue-adjusted basis. Solar power production from Implenia’s roofs has gone up 137% since 2015. We have reduced energy consumption in our production plants by 20.3%, and have reduced and successfully piloted professional energy consumption measuring techniques in our workshops. 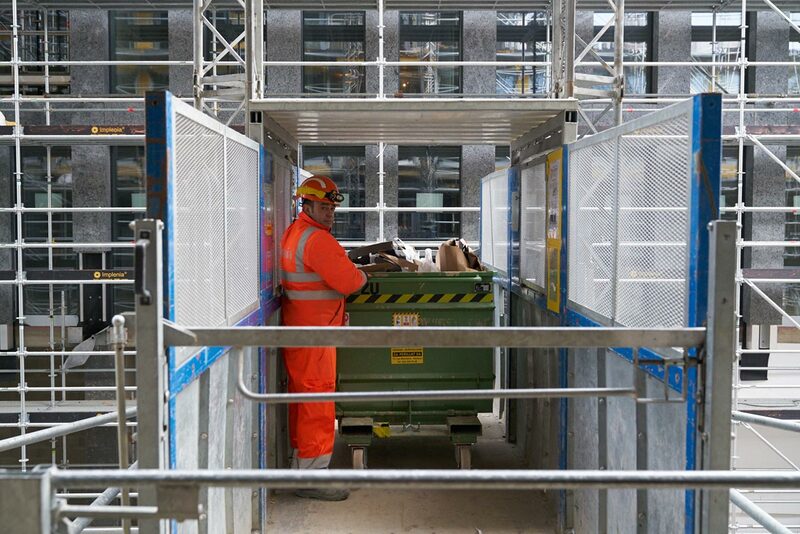 Environmental management on our construction sites has been professionalised, and approximately 400 environmental training sessions have been carried out on site. Implenia operates an ISO 14001-certified environmental management system. By the end of 2017, 99 percent of its approximately 300 corporate units had gained the required certification. 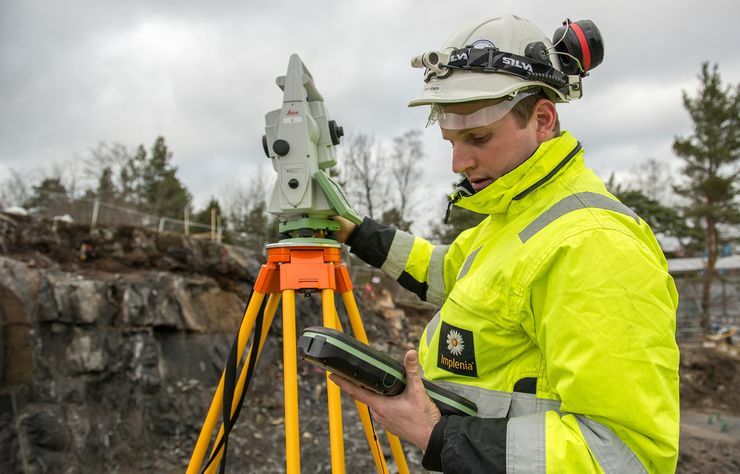 Each of the nine operational business units has several HSEQ officers (health, safety, environment, quality) With expert support from the Sustainability Department, these officers are responsible for implementation of environmental measures on construction sites, increasing energy efficiency and optimising the use of resources – by promoting recycling, for example. In Switzerland, Implenia systematically collects data on production facilities, depots, office premises, building sites and development projects, as well as on transportation and paper consumption (see data recording matrix). It records the main energy and material flows, from initial extraction of raw materials to the finished structure. However, Implenia only records figures that it can actually influence itself. A web-based software package allows the company to capture data continuously from various sources and show it in real time, as well as to generate specific analyses to help monitor outcomes. This environmental data is currently limited to readings for Switzerland as a whole. Regional evaluations are not yet possible. Reliable international data is also lacking. Following the acquisitions of recent years, Implenia is now working to extend its recording of environmental performance indicators to Germany, Austria, Romania and Scandinavia. Almost 90 percent of Implenia’s greenhouse gas emissions come from its construction sites, depots and surfacing works. Around three-quarters of these emissions are the result of burning fuels such as diesel and gasoline. Just a quarter is from oil and gas-fired heat generation. As Implenia uses electricity mainly from hydroelectric power, so its electricity consumption generates virtually no greenhouse gas emissions. In 2013 Implenia set itself the goal of reducing both its greenhouse gas emissions and its primary energy consumption by ten percent relative to revenue by 2017. The company did manage to reduce its absolute CO2 emissions by 13.9 percent over this period, but relative to revenue, there was only a minimal reduction of 3.2 percent. Despite all the different measures, therefore, the ambitious target was not achieved. 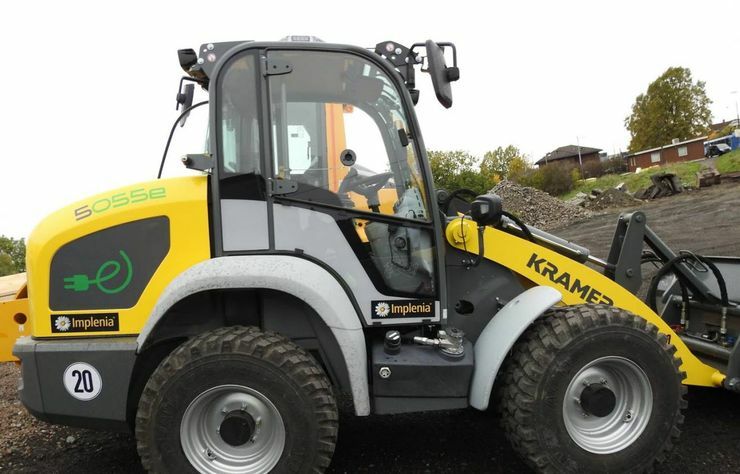 Implenia’s greenhouse gas emission figures include direct emissions from the operation of our own construction machinery, lorries, production facilities and depots in Switzerland (“Scope 1” as defined by international rules on greenhouse gas calculations), as well as indirect greenhouse gas emissions from network energy like electricity (Scope 2). 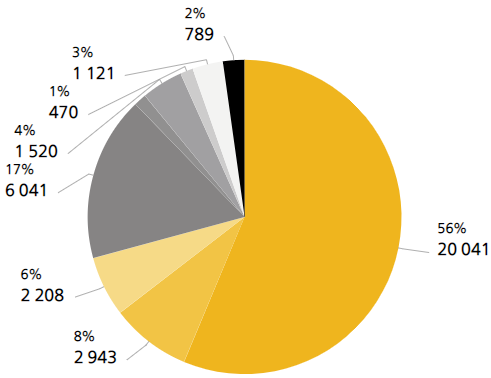 Our figures do not include other indirect emissions generated in upstream or downstream processes (Scope 3). The production of construction materials and the use of the structures we build create significant indirect emissions. These emissions can be many times the quantities recorded under Scope 1 and 2. However, Implenia usually has very little influence on these processes. Implenia’s CO2 emissions can vary significantly from year to year, because they do not depend solely on the amount of work done or on the technologies used, but also on the nature of the services customers require. It makes a difference, for example, whether our tunnellers use the drill and blast method or a tunnel boring machine. Implenia is currently conducting a comprehensive analysis of its CO2 footprint. Its aim is to optimise data collection and extend it to the entire Group. As part of the process, the company is also planning to set Group-wide CO2 reduction targets by 2020. 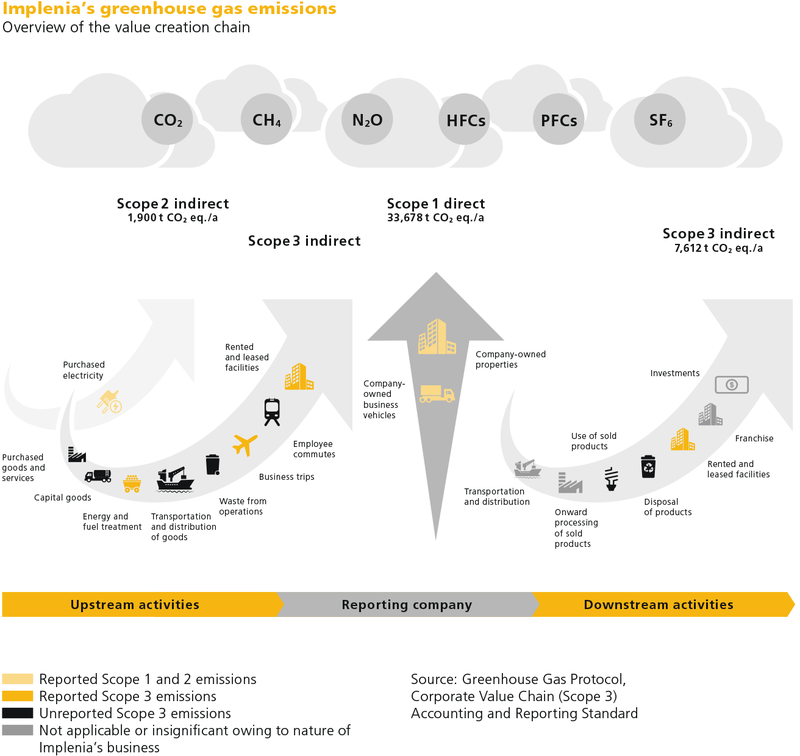 Other indirect emissions, such as those from extraction and production of purchased materials and fuels, transport by vehicles not operated by the reporting company, business trips etc. Implenia uses approximately 164 gigawatt hours of energy each year. Since 2015, total energy consumption in relation to turnover has fallen by 2 percent. The company’s biggest energy source (final energy) by far is the diesel it uses for its machinery, commercial vehicles and passenger cars. Next come fuels such as natural gas and heating oil that are used mainly for process heat in the surfacing works. 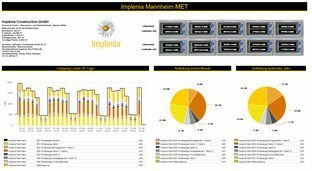 Implenia optimises its energy consumption wherever it can and prioritises clean energy sources. At Swiss locations, the company meets its demand for electrical energy with certified electricity from wind or hydro power. 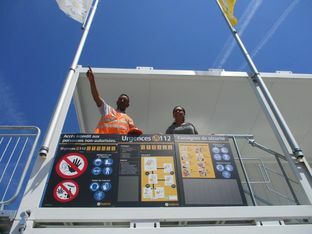 Implenia has been generating its own solar energy on the roofs of its depots in Satigny (GE), Vétroz (VS) and Echandens (VD) for several years. In 2016, the company built new photovoltaic systems at the Claie-aux-Moines gravel plant in Savigny (VD) and at the surfacing plant in Ecublens (VD). The 2,500 square meters of photovoltaic modules on the roof of the Ecublens plant produce almost half a gigawatt hour of electricity per year, equivalent to approximately 45 percent of the entire plant’s consumption. A quarter of the solar power generated can be used directly on site, while the rest is fed into the local grid. The system saves Implenia around 6 percent of its energy costs and reduces its carbon footprint by more than 30 percent. Altogether, Implenia’s own solar power systems produce more than 1 gigawatt hour of electricity a year, which covers 4 percent of its electricity needs in Switzerland. Implenia has set itself the goal of doubling in-house electricity production by 2020 to 2 gigawatt hours and is taking the first step towards this by fitting photovoltaic systems on the roofs of its depots in German-speaking Switzerland. 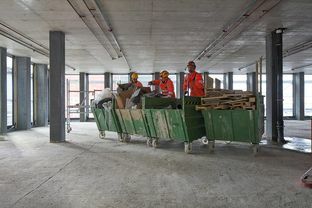 Alongside energy consumption, the use of building materials is one of the main factors in the construction industry’s impact on the environment. Consequently, Implenia’s target is to close its material cycles and recycle as much material as possible. The company has done a lot of pioneering work in recent years. 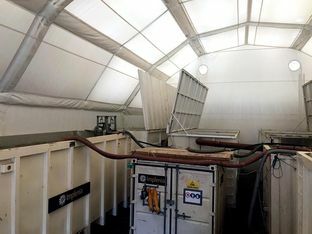 In 2013, for example, Implenia installed Switzerland’s first mobile concrete and gravel production facility in Oberwinterthur (ZH). Excavated material from the “roy” residential development was washed and used to make concrete on site, thus saving on aggregates and cutting the associated transport and other costs. Implenia used another innovative solution in 2015 at the “Birmenstorfer Chruz” road construction project in Canton Aargau. 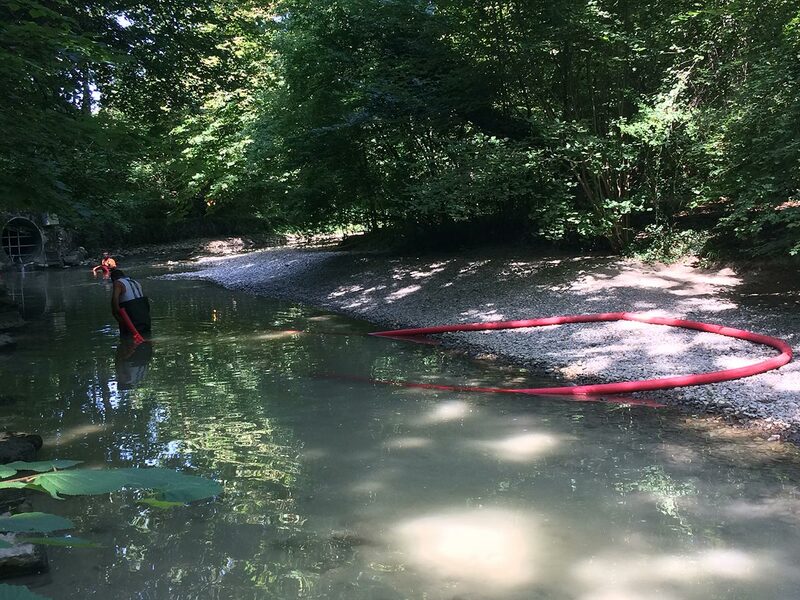 Instead of using the standard Swiss method of backfilling drains and trenches with new gravel, the company decided to process the excavated material from the project and use it for the backfilling. Apart from anything else, Implenia thus avoided placing a further burden on Switzerland’s scarce landfill sites. 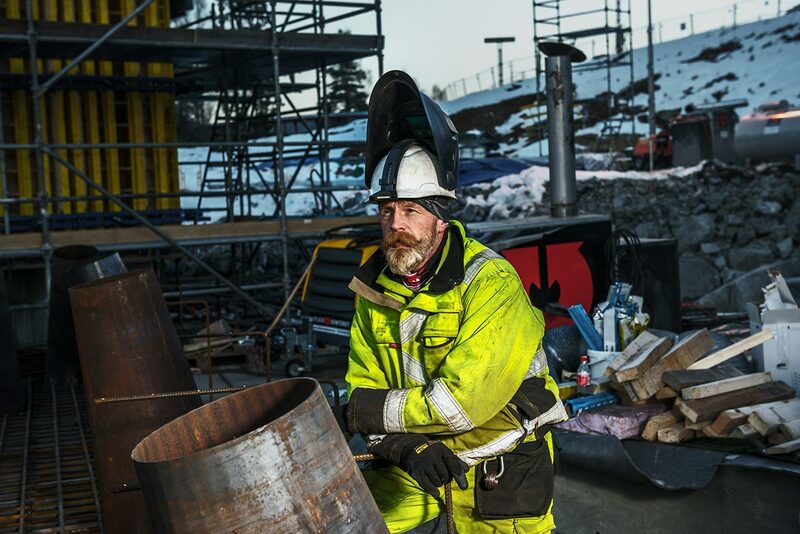 Implenia also conserved resources at its Nant-de-Drance construction site in Canton Valais: it used a fifth of the rock excavated from the caverns to make concrete, which was used in turn to build the new pump-storage power plant. The Nant-de-Drance plant comes on stream in 2019. Finally, in 2017 Implenia transported the spoil from a construction site on agricultural land and used it in the renaturation of a gravel pit just a few kilometres away. 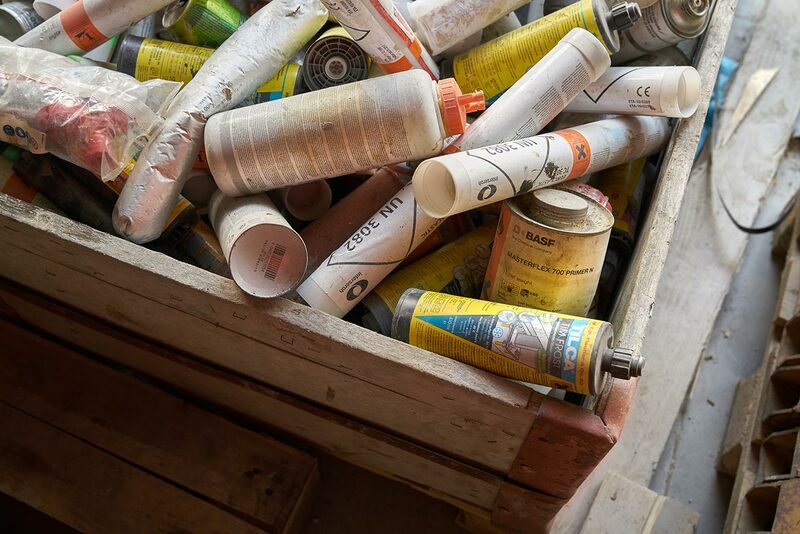 It was a win-win solution: the company responsible for the renaturation got top-quality material for nothing, and Implenia didn’t have to worry about disposal. These examples show that Implenia finds ways to close its material cycles wherever it can. However, the impact of its actions as a single company is limited. New processes and systemic solutions, supported by the authorities and by clients, are needed across the industry. 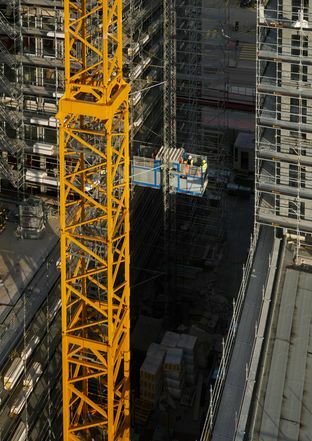 Switzerland took an important step in this direction with the entry into force of the new SIA Standard 112/2 “Sustainable Construction - Civil Engineering and Infrastructure”. Implenia is only at the start of the journey, but it is ready to go further. 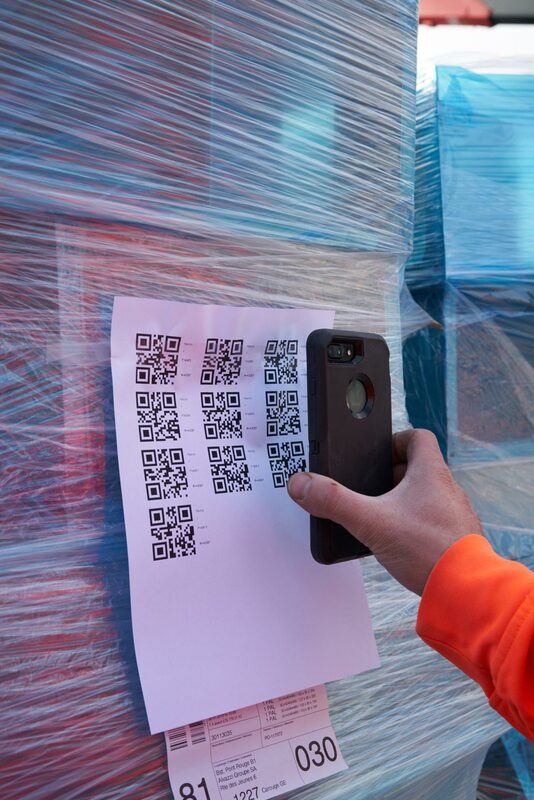 The company hopes that ongoing digitisation will help take its resource optimisation efforts to a new level. Better coordination of supply and demand would mean that recycling options for spoil from excavations and demolition could be found faster and more easily. The environmental impact of paper consumption is comparatively low in construction companies. However, paper usage has a symbolic status in an office environment, so Implenia measures this too. It is pleasing to note that overall paper consumption at the company has trended downwards in recent years, and the proportion of environmentally certified paper has risen to almost 100 percent in recent years. 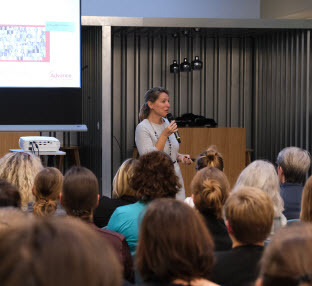 The Sustainability Department, in collaboration with all Business Units, launched an internal environmental standard in 2017. This includes Group-wide minimum requirements for waste disposal, soil protection, water treatment, noise reduction, clean air and energy consumption. These requirements – summarised on a double page – must be followed by the project teams on all construction sites. 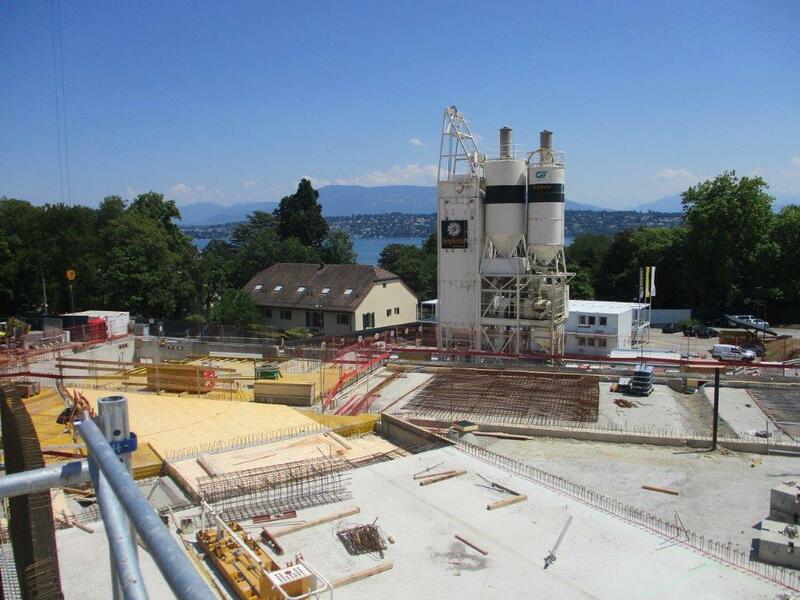 In 2016/17, Implenia introduced an environmental concept for construction sites, including comprehensive sustainability requirements for building construction in Switzerland. This concept is codified in a modular handbook, in which project managers can find background information to help them assess environmental risks correctly and take precautionary action early. Checklists help project teams see how to reduce the impact of their work on waste disposal, air, soil, water and noise. This makes it easier to comply with the legal requirements, but also to meet the additional criteria set by the client or by the sustainability certification agencies. 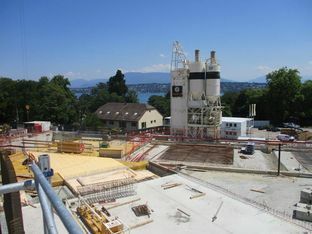 Following a successful pilot phase, the environmental concept was rolled out to several building construction sites in Switzerland. In addition, all documents have been integrated into the Implenia Management System (IMS), thus tying them into the Group’s project process. A simplified version of the environmental concept is currently being developed for all building construction projects throughout the Group. 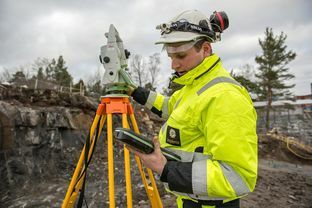 An environmental concept is also being developed for each business unit for civil works and infrastructure construction in Germany, Austria and Scandinavia. These should be finished by the end of 2018 and adapted to suit the locational and project-specific characteristics of each business unit. Implenia regularly informs its employees about environmental issues, knowing that this has a positive influence on energy and resource consumption. In 2016 and 2017, the company organised six campaigns, including: “Committed to reducing dust emissions”, “Responsible use of construction machinery”, and “Reducing noise”. 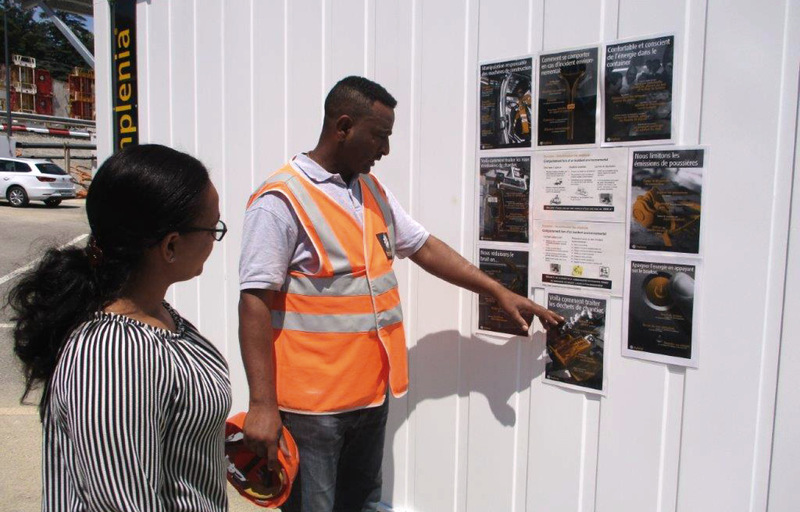 Awareness-raising campaigns use different channels of communication: employees receive a quarter-hour training session, and a multilingual information poster is hung up in highly visible places on the construction site for several weeks. Internal bulletins and the “Impact” employee magazine tell staff how the campaign is going and provide further background information. Project managers receive additional training and in-depth documentation. 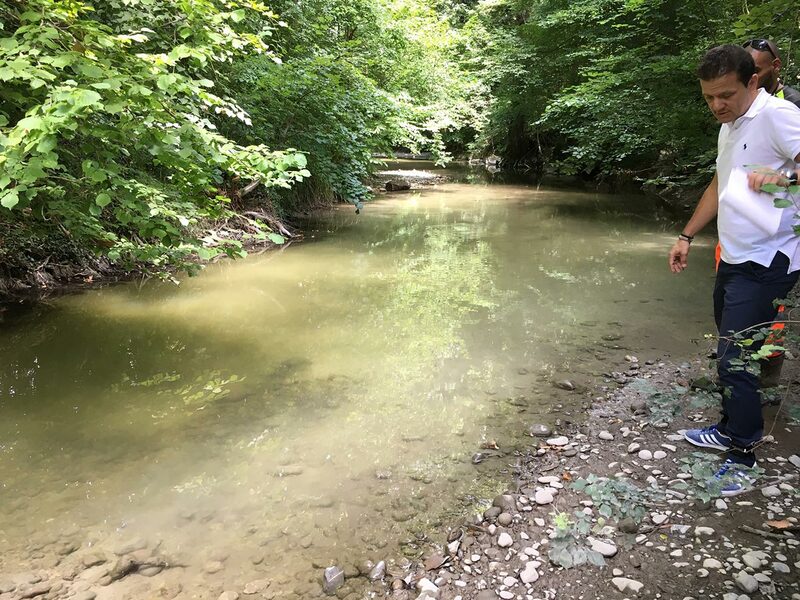 Environmental officers were confronted by a small mystery story at an Implenia construction site near Geneva in summer 2017. Luckily, there was a happy ending. Implenia uses hundreds of vehicles every day. Its cars, trucks and vans, but also excavators, rollers and other specialised vehicles and machinery consume a total of approximately 10.1 million litres of fuel a year in Switzerland. This is why Implenia is careful to procure low-emission vehicles and machines. Its Vehicle Regulations specify that a passenger car should not emit more than 120 grams of CO2 per kilometre. 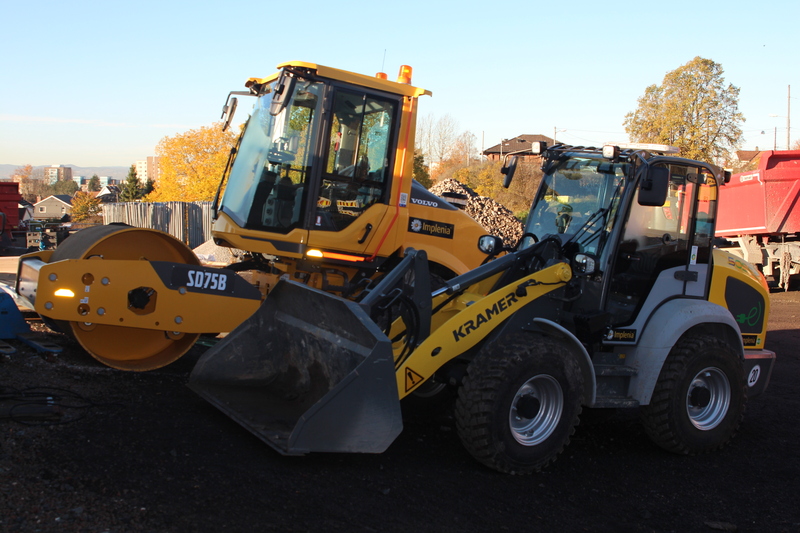 In Switzerland, Implenia purchased its first hybrid excavator, for example, while Implenia Norge has gone a step further by using fully electric vehicles. Our Norwegian colleagues now have a small fleet of delivery and passenger vehicles cars driven entirely by battery. Happily, specific CO2 emissions per kilometre driven continued to fall during the reporting period. However, the increased focus on the European market, reflected for example in the acquisition of Bilfinger Hochbau, has meant that longer flights are being taken. 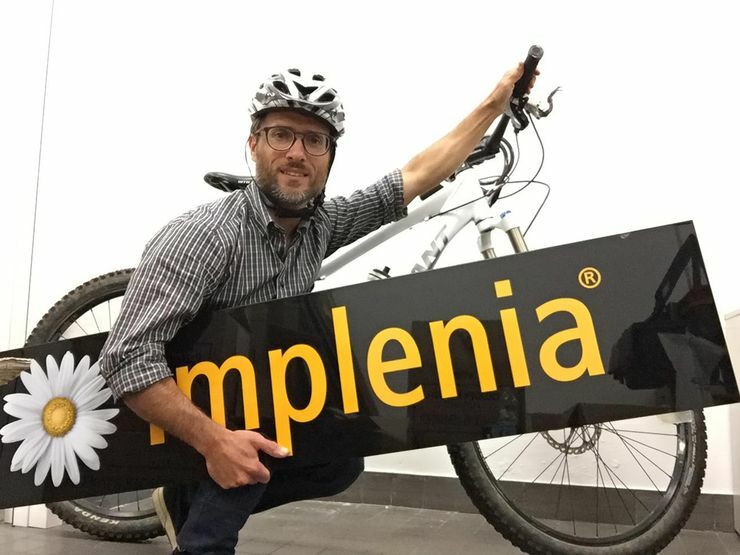 Implenia supports employees who make use of the “Bike to work” campaign run by Pro Velo Schweiz. In 2016 and 2017, 20 Implenia teams at nine different locations cycled a total of more than 48’000 kilometres. This led to a saving in CO2 emissions of around 130 tonnes. The campaign aims to promote more environmentally friendly mobility, but also better health. Each team is made up of four employees, who undertake to make their commutes to work primarily by bicycle. 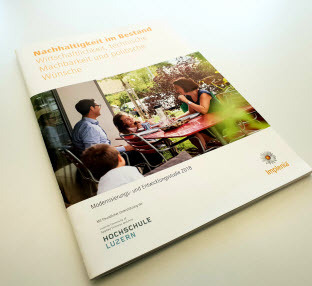 Implenia Deutschland has participated in the “JobRad” initiative since 2017. This gives all employees the opportunity to lease a bicycle on attractive terms. The bikes are up to 40 percent cheaper than if bought directly, and the purchase is financed conveniently via payroll. Implenia is thus encouraging the use non-motorised transport and simultaneously promoting its employees’ health. Implenia is running a model building site in the Norwegian capital completely free from fossil fuels. The experience gained has been positive. In a successful pilot project, Implenia conducted a detailed analysis of electricity consumption and energy-saving potential at its Mannheim depot. The first measures taken are reducing energy costs by 13,000 euros a year. Implenia runs 30 or so large depots across Europe. They function primarily as repair and maintenance yards and material storage depots. But many of these sites also have office premises. Running these buildings, which can be very large, requires a lot of heat and electricity. Wanting to know more about energy-saving potential at its depots, Implenia launched a pilot project that put its Mannheim facility under the microscope. As big as six football pitches, the Mannheim depot includes numerous material storage areas as well as seven buildings and halls. The measurements were carried out by Tetrag Automation AG. This Implenia subsidiary uses the e3m energy monitoring solution that it developed itself and which is perfect for high-resolution analysis of consumption data. In December 2017, Tetrag engineers installed new electricity metres and data recording devices. Initial analysis showed that the greatest optimisation potential is during downtimes – at night and over the weekend when no work is being done. The main way to save costs during these periods is to persuade the 45 staff at the depot to change their habits. The depot would immediately save 5,000 euros a year if all its unused machinery and equipment was turned off. The experts at Tetrag identified a whole series of other efficiency measures, including the use of modern lighting and heating technology. Overall potential electricity savings come to 13,000 euros a year, which would pay back the cost of the project within two years. Step by step, the depot now intends to utilise this saving potential. It has already modernised its compressed air system; monitoring shows that it uses a quarter less energy than the old one. The depot is heated mainly with district heat. 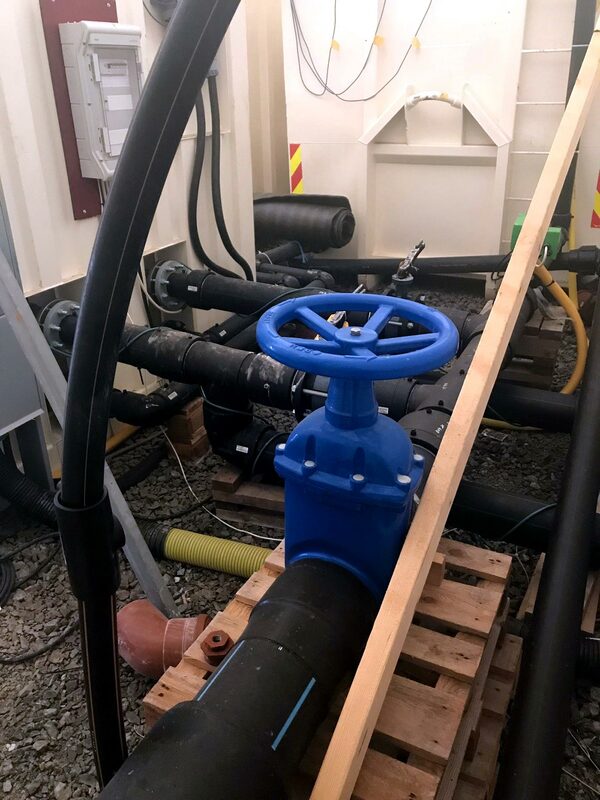 The next step is to replace the measurement infrastructure, so that exact data is produced for the heating system, creating a solid basis for further effective measures. This project is an impressive example of how Tetrag’s solutions can marry financial and environmental benefits together. 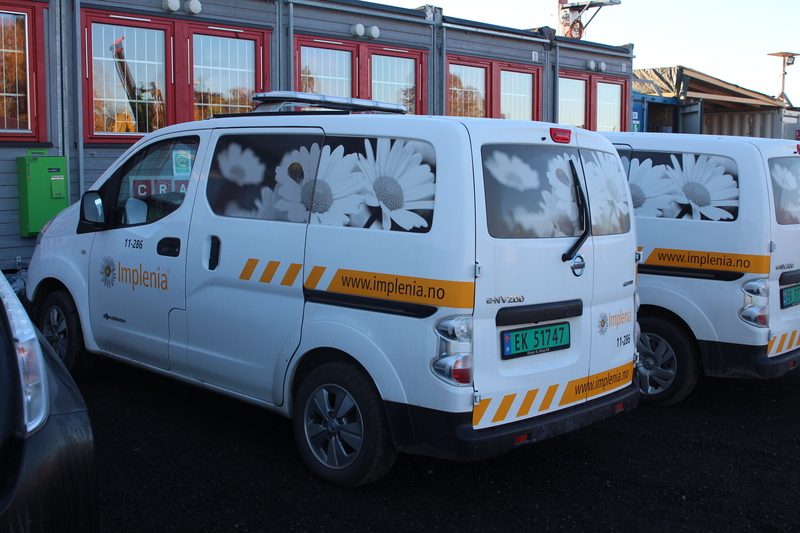 Implenia intends to use the same approach in other depots soon. Implenia is testing out the construction site of the future at its Pont-Rouge project. A whole series of new approaches designed to make construction more efficient are being given a thorough workout in Geneva. “Pont-Rouge” is currently rising up next to the train station in the Lancy district of Geneva. 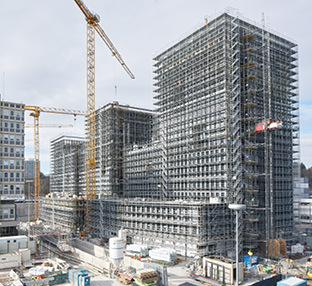 The SBB Immobilien AG project, one of the largest construction projects the region, is creating a mixed-use development featuring offices, shops and restaurants. 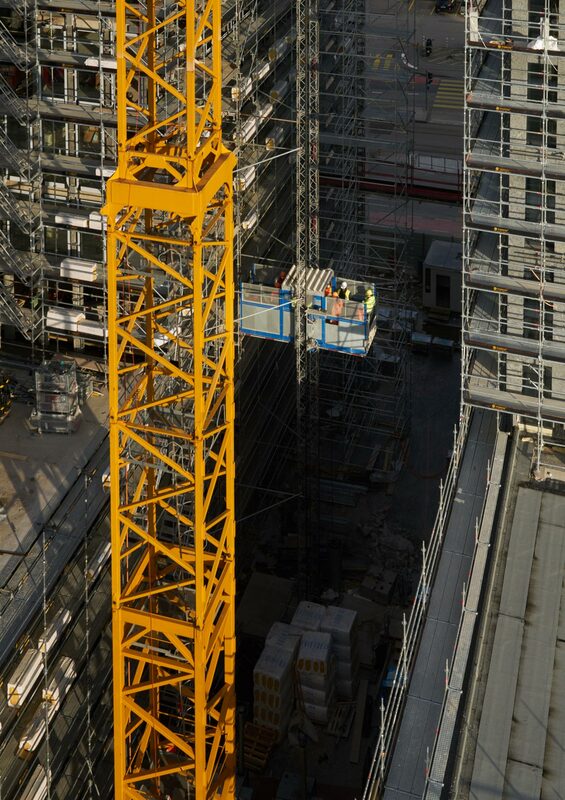 The building, which is aiming for the DGNB “Gold” sustainability standard, is scheduled for completion by the end of 2019. 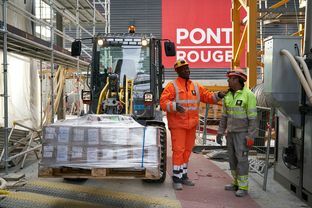 Implenia is deploying various new sustainability approaches at Pont-Rouge: alongside DGNB, the company is trying out a pioneering logistics concept and implements the new environmental concept that should in future be used on all its construction sites. 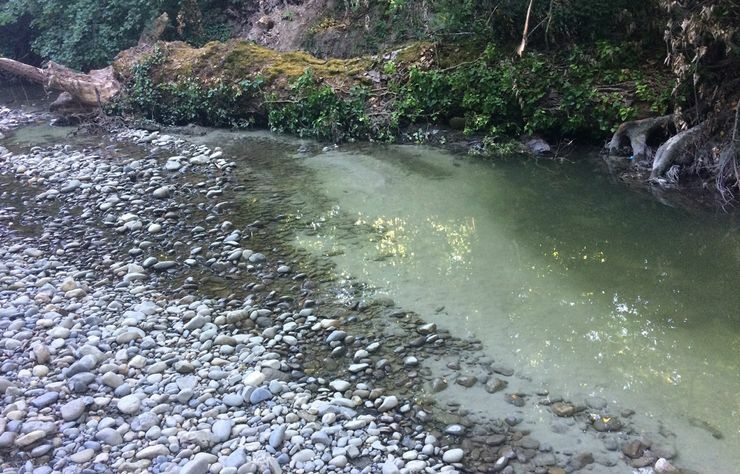 The first big environmentally friendly decision was the one to remove spoil by train. 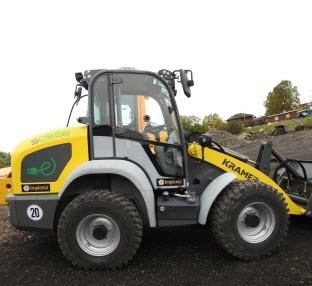 By getting rid of the excavated material in this way, Implenia removed the need for around 9,000 lorry journeys and massively reduced the project’s CO2 footprint. Meanwhile, two water purification plants ensured that no contaminated water reached the soil or the sewage system. 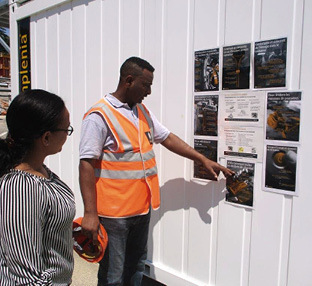 The way Implenia centralised logistics on site was something of a small revolution. Usually all the construction firms involved in a project bring all the building materials they need to the site themselves. 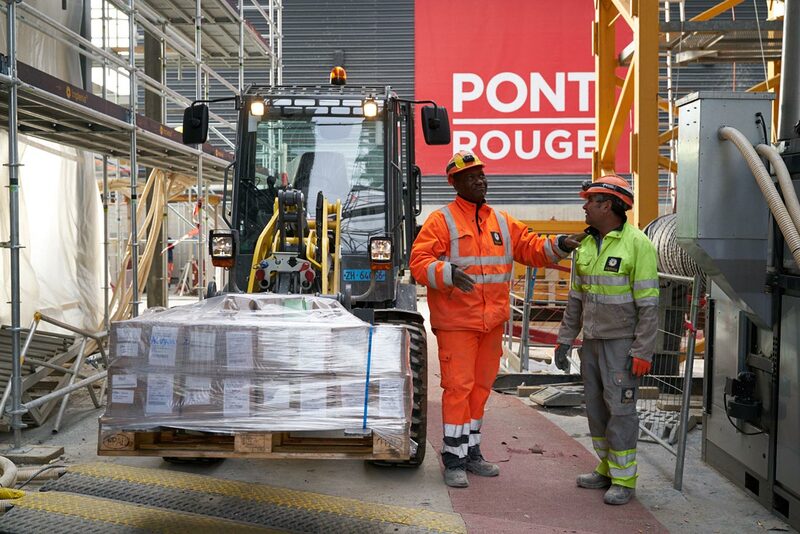 For the Pont-Rouge project, Implenia put together a special team devoted solely to materials transportation and disposal within the site. Suppliers bring the material to the site entrance, where the team uses an online tool to help manage the receipt, checking and onward transportation of materials. Meanwhile, Implenia workers collect waste material and take it after sorting to the appropriate skip. 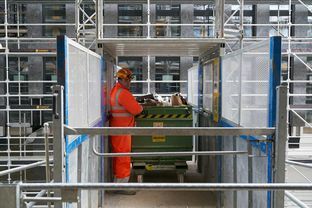 The system ensures that everything on this complex construction site gets to the right place. 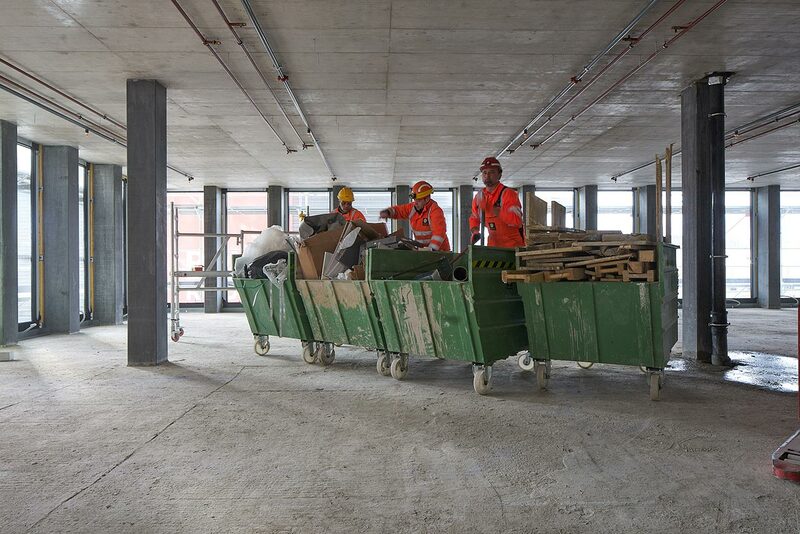 So far 2,200 tonnes of waste has been sorted on site, and 72 percent of this has been recycled. 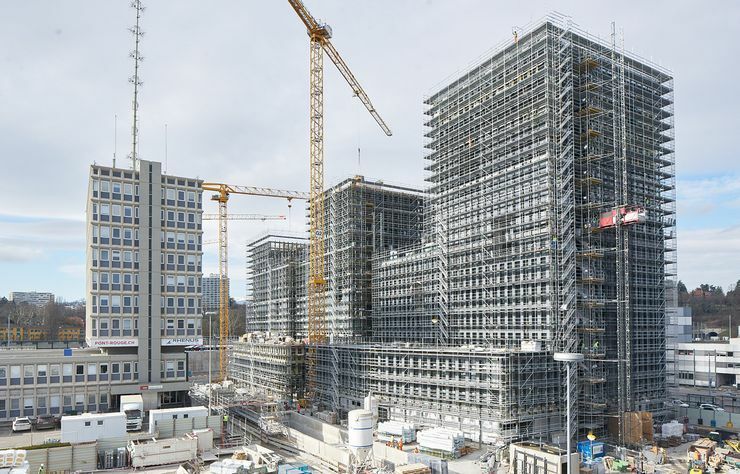 Implenia is piloting its new sustainability concept, “Chantier Marguerite” at the construction site for a new United Nations office building. Refugees have been hired to work on site for the first time. The United Nations want to bring all of its employees together on the Palais des Nations site. Since 2017, Implenia has been building a new office building that will take the UN a big step closer to its goal. The building will provide workspace for 1,400 people. Construction is scheduled for completion at the end of 2019. For Implenia, the site is another milestone on its journey towards greater sustainability. “Chantier Marguerite” (which means “daisy site”) is the name of the forward-looking concept Implenia is testing in Geneva. The aim is to meet previously unmatched sustainability standards. 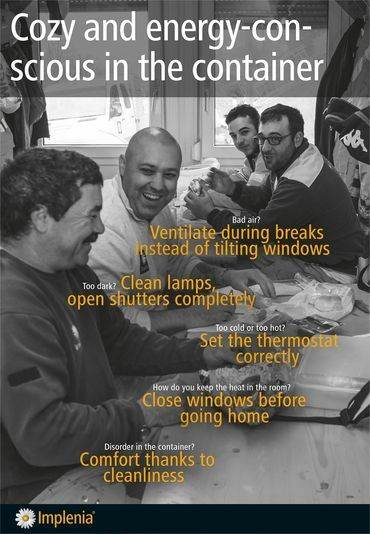 Implenia is, for example, using refugee workers on a construction site for the first time. Working with Canton Geneva’s Office for the Integration of Foreigners, the company wants to offer meaningful employment, and if possible a permanent job. Two refugees have been working successfully on the site for some weeks now. In addition to Implenia’s social engagement, the company has taken significant steps on the UN construction site to reduce the consumption of energy and materials, and to make the site as environmentally friendly as possible. The plan is also for the building to meet the international LEED (Leadership in Energy and Environmental) label for ecologically sound construction. Another new feature of the “Chantier Marguerite” concept is Implenia’s cooperation with the renowned Graduate Institute of International and Development Studies (IHEID), which is documenting the entire construction process and the environmental measures taken. This documentation will help with knowledge transfer and demonstrate how a single company can contribute to the realisation of the United Nations’ Sustainable Development Goals. Implenia is building two tunnel sections for Stockholm’s new city bypass. Work started in autumn 2016. Because the route goes through a sensitive lakeland area, Implenia Sverige has had to implement complex environmental measures. A new 21-kilometre-long main road is being built to relieve bottlenecks in the transport system and take traffic out of Stockholm’s city centre. 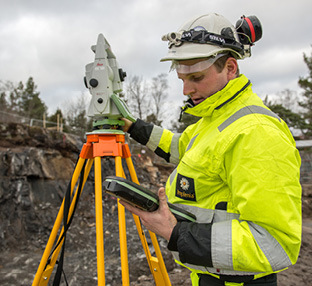 Implenia is responsible for an important part of the project, centred on the Johannelund construction site. This impressive section consists of two 3.6-kilometre long, three-lane tunnels with four entry and exit ramps. There are also four ventilation shafts and 60 cross-galleries, rescue tunnels and access shafts. 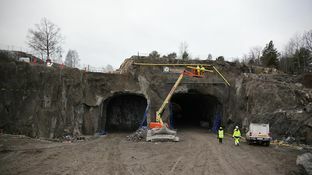 Implenia started blasting the tunnels in October 2016. Around 1.5 million cubic meters of rock will have to be excavated in total. Meanwhile in Lunda, Implenia has been building two 1.6-kilometre-long road tunnels for the same bypass project since spring 2017. According to the plans, all of the tunnels will be open to traffic in 2026. 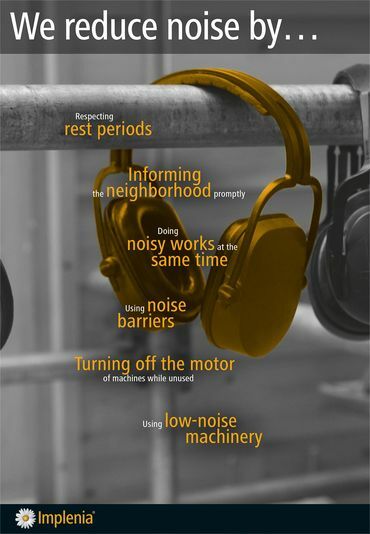 At both construction sites, the drilling and blasting work beneath such a densely populated area presents major challenges, as does the management of noise emissions and site logistics. What is more, a good part of the route runs beneath Lake Mälaren, Sweden’s largest drinking water reservoir. Implenia Sverige is determined to complete the projects to the highest sustainability standards. The company has, for example, installed a state-of-the-art water treatment plant, which cleans process water from the tunnels and pumps it back into the cycle. The aim is to recycle 80 percent of the water used in the project. CO2 emissions are another priority. Implenia wants to keep greenhouse gas emissions as low as possible during construction and beat the target set by the client by 10 percent. It wasn’t the butler that did it – it was a type of clay called bentonite. This is made up of various minerals and has a special characteristic: when mixed with water, bentonite forms a liquid can solidify into a pressure-tight mass. A bentonite-water mixture is used, for example, as a supporting slurry during the construction of diaphragm walls. A digger can excavate a narrow but deep trench without the sides collapsing if the trench is filled with this slurry. The fully dug trench can then be permanently stabilised with concrete. 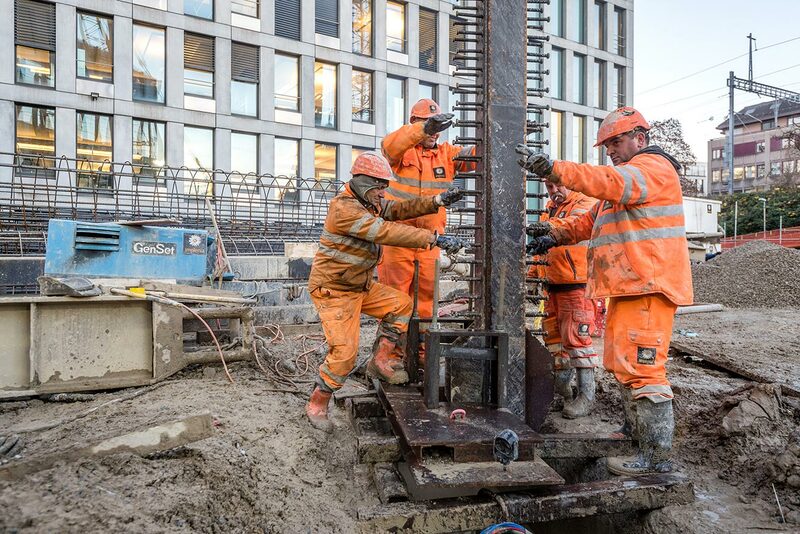 This is the technique used in 2017 by Implenia workers digging deep foundations on the Tourbillon building site. The men were working in Plan-Les-Ouates on the outskirts of Geneva on a former agricultural area that over the years had been developed in to an industrial zone. Everything went fine to start with, but on 4 July 2017, the workers noticed that something was wrong: the support slurry kept disappearing. After a while, the workers stopped the machines and pumped out the bentonite/water mixture. To their astonishment, three metres down they discovered a broken PVC pipe that was not shown on any of their plans. Next day, while the site workers were still wondering where the plastic pipe went to, Benoît Klein got a phone call. 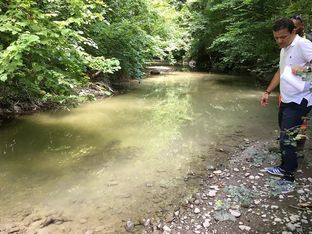 The cantonal water authority informed Implenia’s Sustainability Project Manager for French-speaking Switzerland that the water in the Aïre – a stream in Plan-Les-Ouates – was looking cloudy. Suddenly the pieces fell into place. The green pipe had obviously been used to take water off the former arable land and into the drains under the nearby road, which in turn fed into the stream 2.5 kilometres away. So that’s where 20,000 litres of bentonite slurry had gone to. 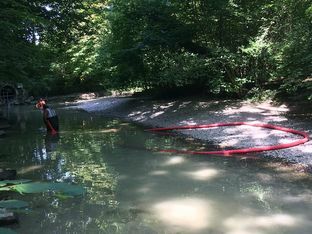 Without delay, Klein arranged a meeting with the construction management team, council officers and the project’s environmental officer to assess the damage. Fortunately, the slurry was non-toxic. 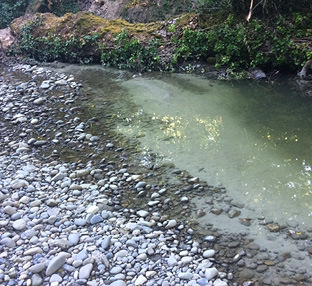 Nevertheless, Implenia immediately sent two workers to start pumping bentonite deposits out from the river bed. After four days, the stream was back to normal. At first glance, everything appears normal: Implenia Norge has been running a road construction project in Oslo’s Storo neighbourhood since August 2018 designed to improve access to the tram line and cycle path. The company is also rehabilitating water and sewerage pipes at the same time. Inspecting the building site more closely, however, reveals something is very different: none of the machinery or vehicles run on fossil fuel. Thus the site plays host to purely electric loaders, transporters and special vehicles, and the HGVs are filled with biodiesel. There are also battery-powered vibration platforms in service. In addition, Implenia selected materials in line with sustainability principles and is using a special low-CO2 concrete. These pioneering environmentally sustainable measures enabled Implenia to triumph over the competition and win the contract. The city council had accorded a weighting of 20% to environmental factors when awarding the tender. The 15 Implenia employees are proud to be working on this forward-looking building site. But there are also challenges to be overcome, such as ensuring batteries are charged in good time. There are also many people who drive their own electric car to the site, for whom Implenia has set up a charging station by the site huts. The site in Oslo exemplifies the possibilities currently available for significant climate action on building sites, i.e. in Implenia’s core business, which generates the bulk of CO2 emissions. It is therefore all the more pleasing that the machinery and vehicles used so far have proved their worth, including economically. Based on its positive experience, Implenia Norge now intends to make greater use of electric machines in more of its projects. Number of completed major building projects with a sustainability certificate has increased by 61% to a total of 37 since 2012. Build up our internal expertise in sustainable building and adapt our core processes accordingly. Occupational accidents have fallen 14% to 71 per 1,000 full-time posts since the start of 2016. Reduce the number of occupational accidents throughout the Group by at least 10% a year. Make data collection more precise and set ourselves specific CO2 reduction targets across the Group. Social commitments strengthened, including our work with the “Smiling Gecko” project in Cambodia. Increase our commitment to sustainable development beyond our business activities. Digitalization and BIM strategy: Implementation begun and BIM used in around 250 projects. Link financial and operational excellence in the “Kairos” project and implement the next step in the company's digitalization strategy. Implenia ModernizationRenovating - OK, but how? A complete overhaul or just the bare minimum required? Implenia helps the owners of residential property in need of renovation make a smart decision. Do you have questions for our experts?